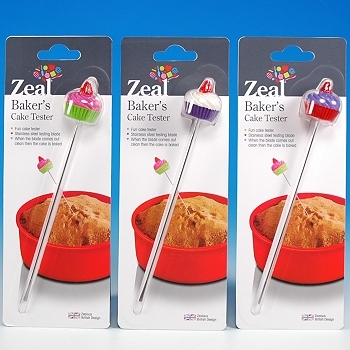 Baker's Cake Testers are both functional and fun ! Use to gauge when a layer cake has finished baking. 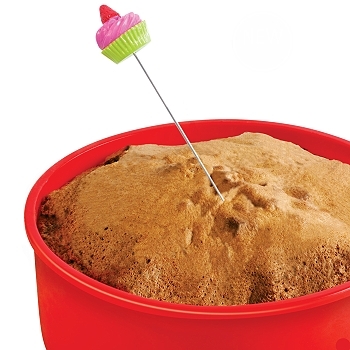 Simply insert the tester blade into the center of the cake, when it comes-out clean the cake has finished baking. Features a whimsical decorative Cupcake mounted on top of each tester blade. $5.99 each, collect all three! Stainless steel rod, overall length 6 1/2"